2013 was a good year at Bangalore Aviation. We had an eclectic mix of stories, and it was a mixed bag of stories that made the “Top 10” list for 2013. The most popular story of the year was the trip report on Air Canada’s Executive First class which features the mini-suites aboard the Boeing 777s and 767s. Read the report with photos here. Just about 20 views behind was the incident at Bangalore airport involving an IndiGo airline A320 which skidded off the runway in heavy rains. Read the story here. 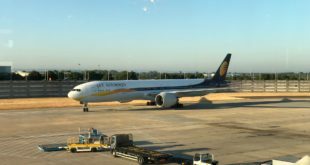 Commuting to Bangalore airport is still a subject of great interest, and our story on the new FlyBus service between the airport and Mysore attracted great interest to put this story at the third highest rank. Read the story here. 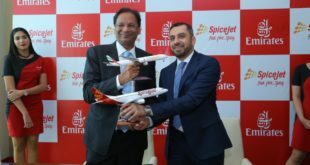 We are known for our strong opinions, and the intrusive control of the Government of the national carrier Air India is a subject of much interest. Read Devesh Agarwal’s opinion piece at fourth rank, on how the modern day political aristocracy abuses Air India here. Air India continued in the news when Japan, the country whose airlines were the first and second to operate the Dreamliner, banned Air India from flying the new composite aircraft in to Japan. This article at first rank explains why. Read it here. Odd aircraft always attract attention, and an Antonov An-74TK-100 at Mumbai was no exception. This photo made it to sixth place. See it here. 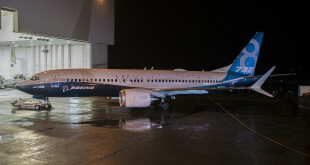 The launch of the 787-10, the largest in the Dreamliner family, caught the attention of many readers, propelling the news article to number seven. Read it here. Vinay Bhaskara’s analysis on possible new routes by Air India made it to eighth position. Read it here. At ninth position was our extensive trip-report on Air France business class on their A330-200s. Read it along with several photos here. This year one “Top Ten” list made it in to the annual “Top Ten” list. Read what you should not do at airports here. Share your thoughts in the year 2013. 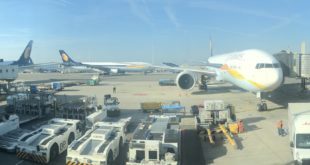 What did you like at Bangalore Aviation, and what you did not. Do let us know how to improve in 2014.